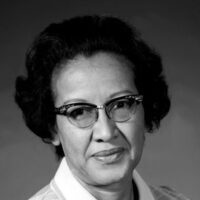 “Outlier: The Story of Katherine Johnson,” an hour-long documentary produced by MotionMasters, focuses on the young woman from West Virginia who graduated high school at age 14, college at age 18 and went on to become a physicist, space scientist and mathematician famous for accuracy in celestial navigation. This documentary includes an interview with Johnson herself, as well as interviews with NASA's chief historian, a curator at the Smithsonian's Air & Space Museum, and an interview with author Margot Lee Shetterly. It is best suited for grades 3 to adult. Refreshments are provided courtesy of The Friends of the Library. Adult, Teens, Children.